Although many people have not heard of the term gusset, most people encounter gusseted bags on an almost daily basis. Gusseted bags, like there name suggests, utilize a gusset to expand the capacity of the bag. Gusseted Bags – Rutan Poly Industries, Inc.
A gusset is a piece of extra material which is usually placed at the bottom of the bag that allows the bag to widen instead of narrow like standard plastic bags. Gusseted bags are often used for two types of products: bulky items and bulk items. For this reason, they are often used in the food industry but are also used in hardware, gardening, and many other types of industries. 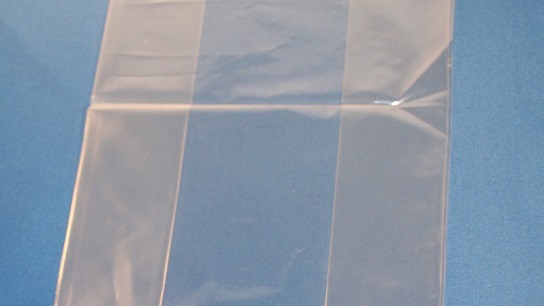 There are also a number of different options when it comes to picking out a gusseted bag for your application, so it is important to find the right manufacturer who offers all the features and options you need in order to provide you with the best possible gusseted bag for your application. For starters, there are quite of few options to consider when dealing with gusseted bags such as bottom gussets, which stand on their own, zipper pouches, heavy duty gusseted bags, compostable bags and a number of other choices from sizing to color. All of these options can be available for a variety of applications, assuming the manufacturer you choose offers them. If you sell your products in bulk, such as candies, nuts, other food products or even smaller non-food items, gusseted bags are a great choice as they allow you to pack these items in a bag to improve the stability and efficiency of your packaging. Or if your products are more bulky or cannot fit into a typical bag, a gusseted bag is great for you. These bags are the cream of the crop when it comes to bag packaging, from the ability to stand upright, keeping foods fresh, and a number of other features that add value to your product and business. In order to find the perfect gusseted bag for you application, explain your process and requirements to a trusted, experienced manufacturer, and they can help you decide which features you may need or want. It all starts with finding the right manufacturer who is willing to work with you in order to find the perfect solution for your application. Gusseted Bags Gusseted bags are bags that are used in a wide range of applications and industries.